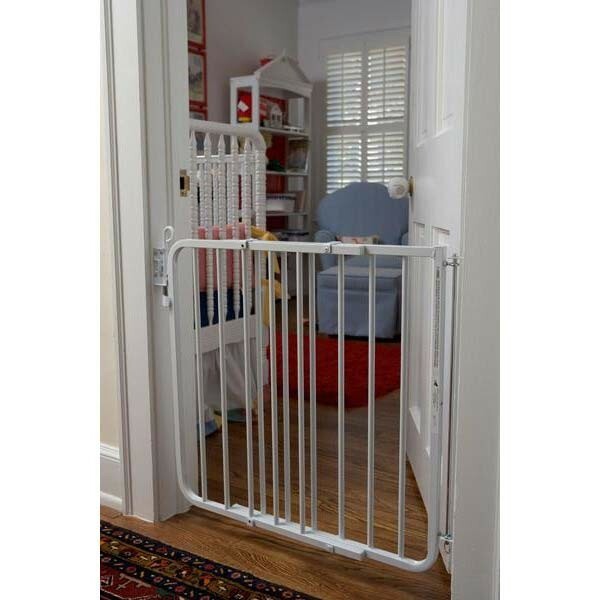 The Auto-Lock Gate (Model MG-15) A great gate for high traffic areas. 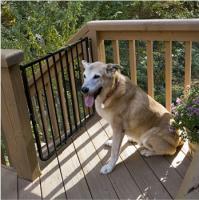 The AutoLock gate features a patented latch that allows rapid pass-through in either direction. Simply pull and twist the latch to open and to close, just swing the gate shut. 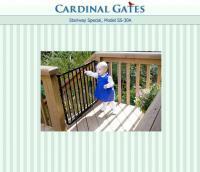 This gate has quick and simple installation. 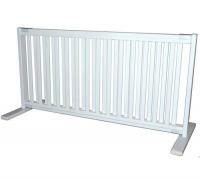 The AutoLock gate is constructed of aluminum, which is lighter weight than steel and rustproof. The powder-coated finish provides a long lasting easy-to-clean surface and is available in White and Black. 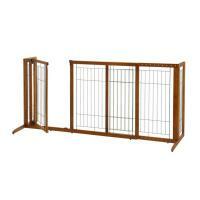 Gate Dimensions: Gate width is adjustable 26" - 40", Height 29 1/2", Bar Spacing 2 1/2"
Gate is sturdy and very well made. It looks attractive at the bottom of our stairs to the 2nd floor. 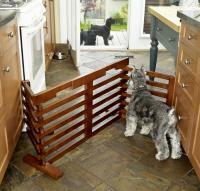 It is there to keep the dogs from going upstairs. We use the gate a lot. My only negative comment is the open/close mechanism takes a bit more strength than expected.